High in Vitamin A and has full amounts of Vitamin C and iron. It’s low is sodium and in calories. 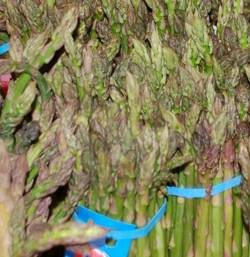 Asparagus is available year-round with a peak during March and April. California provides most of the supply February through April.